Have you ever just wondered what would you do without Internet? Being able to play lotteries online is a luxury that is often taken for granted. There are many examples of how internet has made life easier besides playing the lottery – banking, shopping, reading the news, scheduling, social media and much more. For four billion people without internet, this is their reality and also the reason why Mark Zuckerberg introduced the idea. Facebook’s intention is to connect the world together. The Facebook founder, Mark Zuckerberg thought of an innovative concept. 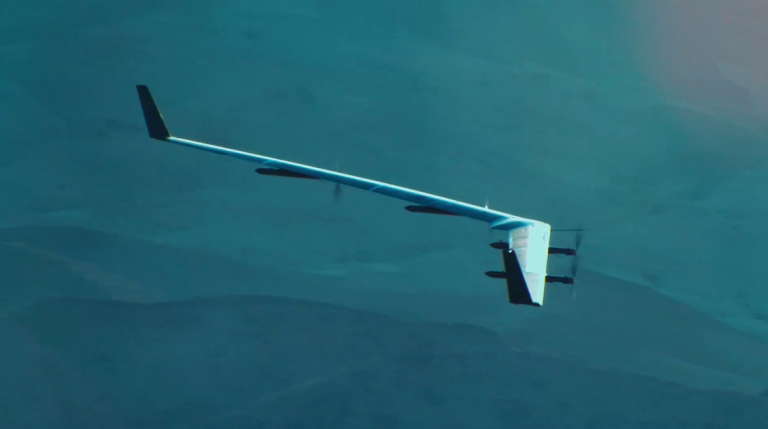 A drone that serves to provide internet connectivity over all the world, especially where there is no online access. Mark Zuckerberg said "It's all part of our mission to connect the world and help more of the 4 billion people who are not online to access all the opportunities of the internet." To help make his concept a reality, Zuckerberg called upon a team of engineers from various fields that worked in aerospace and software, NASA and the Royal Air force. So what is a drone exactly? A pre-programmed aircraft that can keep flying straight or circling around. They were first developed for military purposes but today they are used for sports, surveillance, film and relief aid. According to Facebook, the Aquila project will be able to provide internet access from a height above 60,000 feet. The internet drone will work with the help of lasers and wave systems to deliver high speed internet. The laser system is intended to deliver data 10 times faster than the current rate. The lasers are so precise that it could target a coin from miles away. Aquila was made out of carbon fiber weighing 900 pounds with the intention to be light-weight. The drone is intended to fly slowly across the blue skies using 2,000 watts of energy that is equal to three hair dryers. During the day, the aircraft, Aquila will fly using the solar energy while at night power will be using up the batteries. 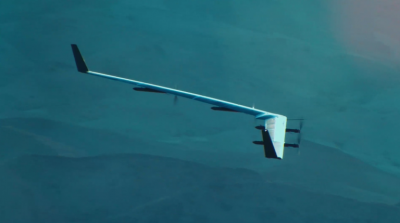 Facebook’s drone is expecting to be up in the air for as long as three months before landing. Cox and Gomez who were part of the Aquila team noted that "Given current and projected battery performance means batteries will account for roughly half the mass of the airplane. We’re pushing the edge of high energy-density batteries while exploring the best designs to ensure we have enough resilience in the system." 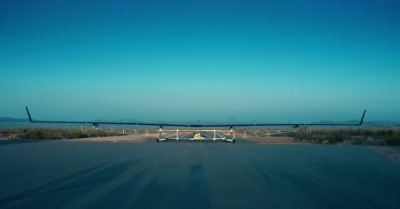 The solar-powered drone, Aquila carried out its first successful test flight in Yuma, Arizona. At first they had expected to fly the aircraft for thirty minutes at low altitudes. Surprisingly, it was able to cover ninety minutes in flight that exceeded the team’s expectations. "Eventually, our goal is to have a fleet of Aquilas flying together at 60,000 feet, communicating with each other with lasers and staying aloft for months at a time — something that's never been done before," wrote Facebook CEO Mark Zuckerberg. On testing the flight, they were able to test the autopilot’s performance on the full size drone under real weather conditions. The Aquila team are still at a learning curve, analysing the performance of the aircraft’s model and components, batteries and Internet signals. Still in its early stages, they will need to carry out more test runs to fly Aquila faster, higher and for longer. 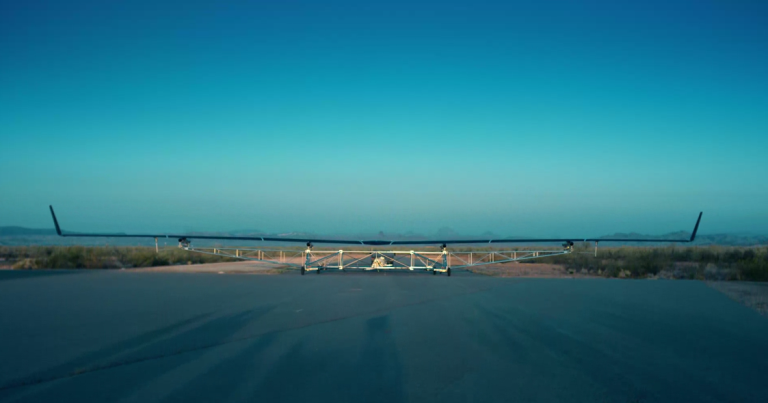 As of now the world record of a solar-powered unmanned flight lasted two weeks. Encouraged by the success of the test will certainly drive the team to reach their goal even though more advancement in science and engineering is required. For these aircraft to fly over different countries, Facebook will need the necessary permission from each country’s government. Furthermore, for internet effectiveness they will have to work close with cable operators and other entities. 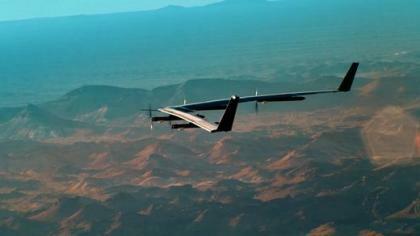 Facebook’s project, Aquila will bring internet closer you. The world’s population may see a drone circling around in the skies. This will give you the necessary internet signals so you could easily book your lotto tickets, saving you the time and hassle from having to go out and buy them from a lottery retailer. The idea of drones is founded upon a vision of the world where everyone can enjoy the benefits of internet access – lotto included. New advancing aircraft like Aquila has the potential to bring people closer through Internet communication, a voice for all and the opportunity for all people to use the World Wide Web to connect the world.